Still looks great after 5 years. Just received an email advertisement so thought I would see what's new at Big Skinny. My review of this wallet five years ago is still posted. The Leather Traveler I bought five years ago still looks great and has barely any noticeable wear. 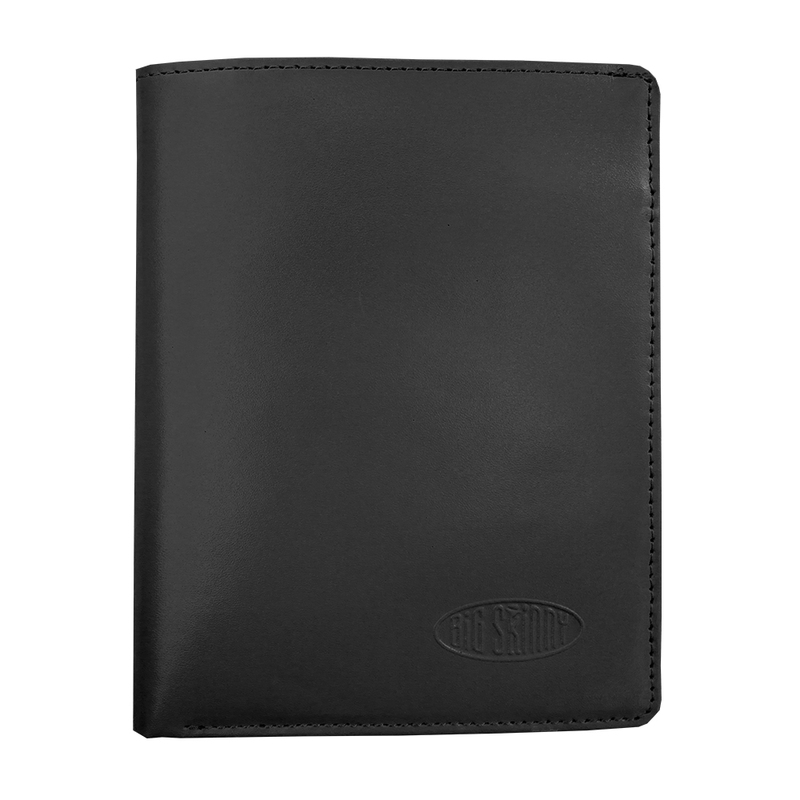 It is the only wallet I have used and I have traveled extensively (30 times a year to Asia and Europe and some domestic). I love the design: easy access to credit cards, two clear ID displays, easy business card access. 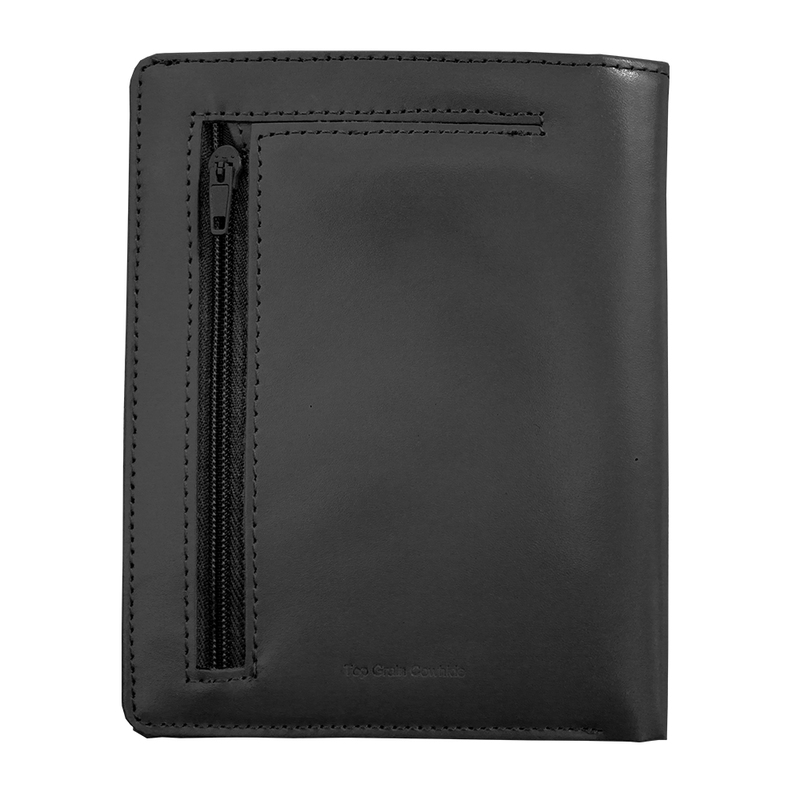 I actually bought another identical wallet which I keep in reserve in case this one ever does wear out (see photo). I love the double stacked design which keeps the thickness down to about 1/2" at the thickest point (I carry a lot of stuff). Thanks for a great wallet guys! My only dislike is the outside zippered pocket which I don't use ... but maybe some of you do use it. Best wallet I have ever owned (I just turned 65)! 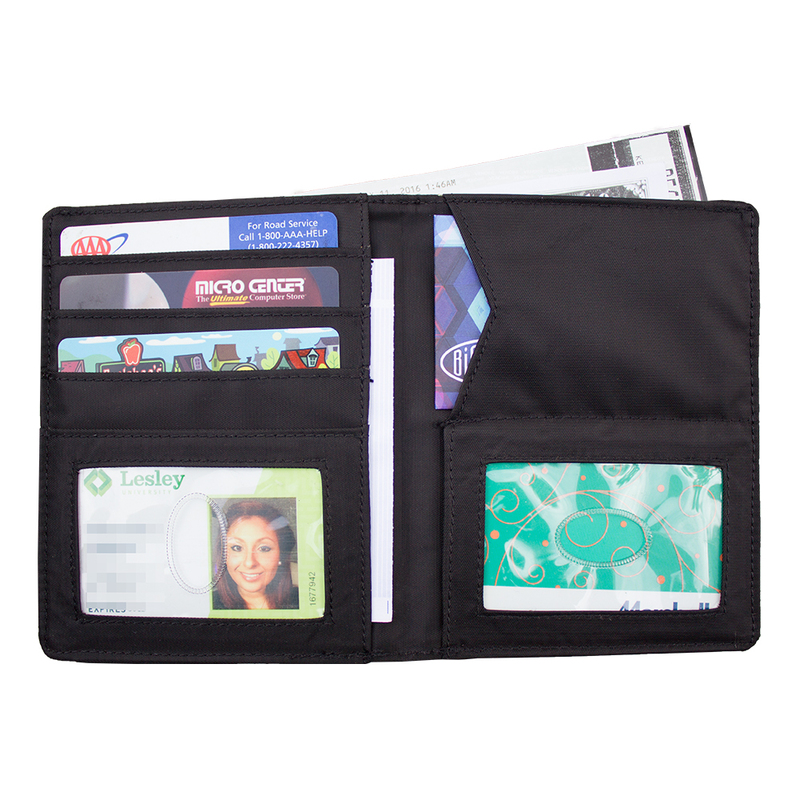 Thin, comfortable and easy access to id, credit cards, etc. I do agree with another reviewer that the zipper on the coin compartment be reversed. 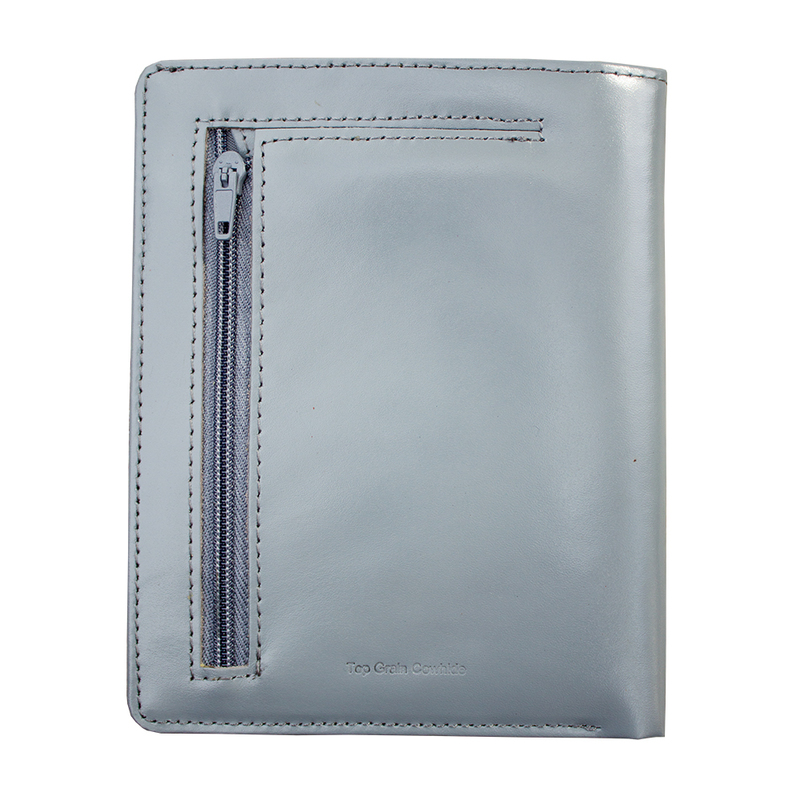 Coin compartment a bit awkward but overall a great wallet. ConsCoin compartment a tad awkward due to direction of opening of zipper. Fits everything I need it to. Wish the "slots" would hold more, or there would be one more per side, but everything I need to fit (plus more) in my wallet fits with ease. 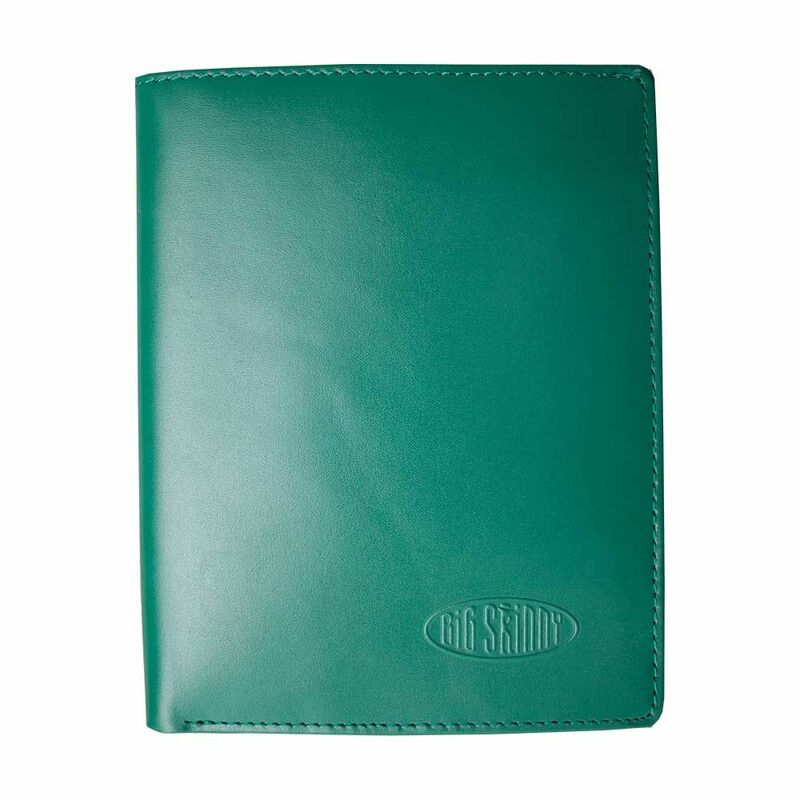 I bought the green wallet two years ago at a convention and absolutely adore it. It fits in my pocketbooks and is ever so slim! I can pack a lot of charge cards and gift cards, business cards, etc. But I am not a fan of green, the grey is boring and the black is ... well, black! I would love options in the brown and burgundy family, probably buying a few of each. How about it? Give us a nice burgundy, cognac, burnt sienna, or mahogany! It would be luxurious and much enjoyed! I bought this as a gift for my wife and she LOVED IT! 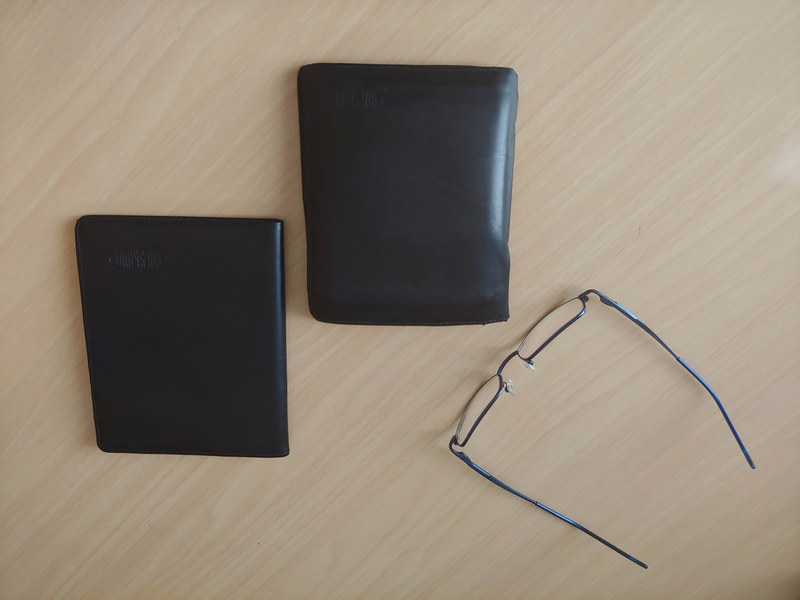 My husband is very impressed with the compact size of these wallets. 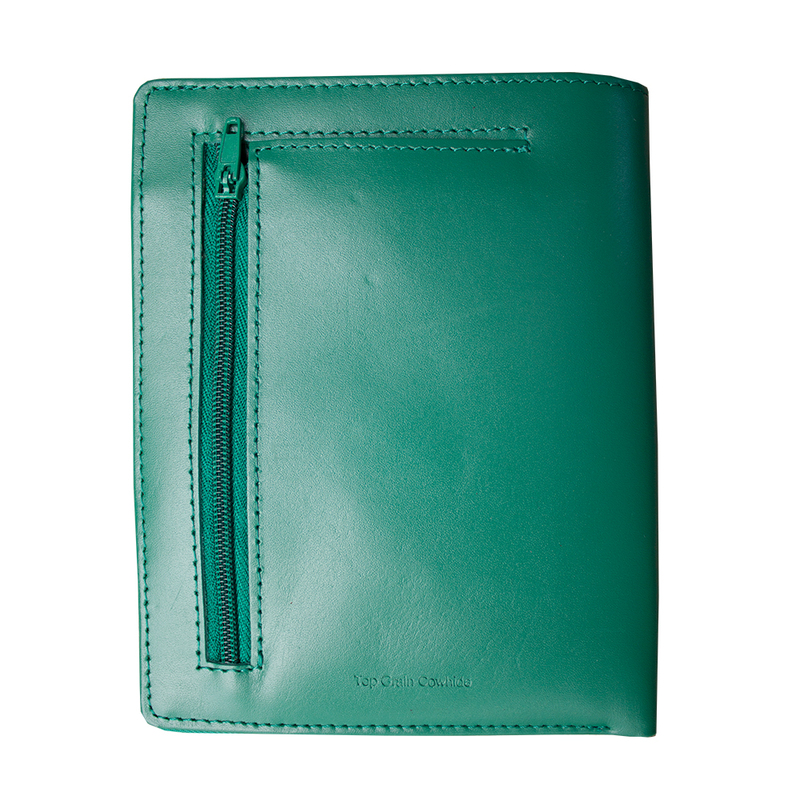 I like this green wallet to hold my passport! Love it. Slim for inside breast pocket. ProsSlim. Roomy. Leather and tough canvas. Easy to use. 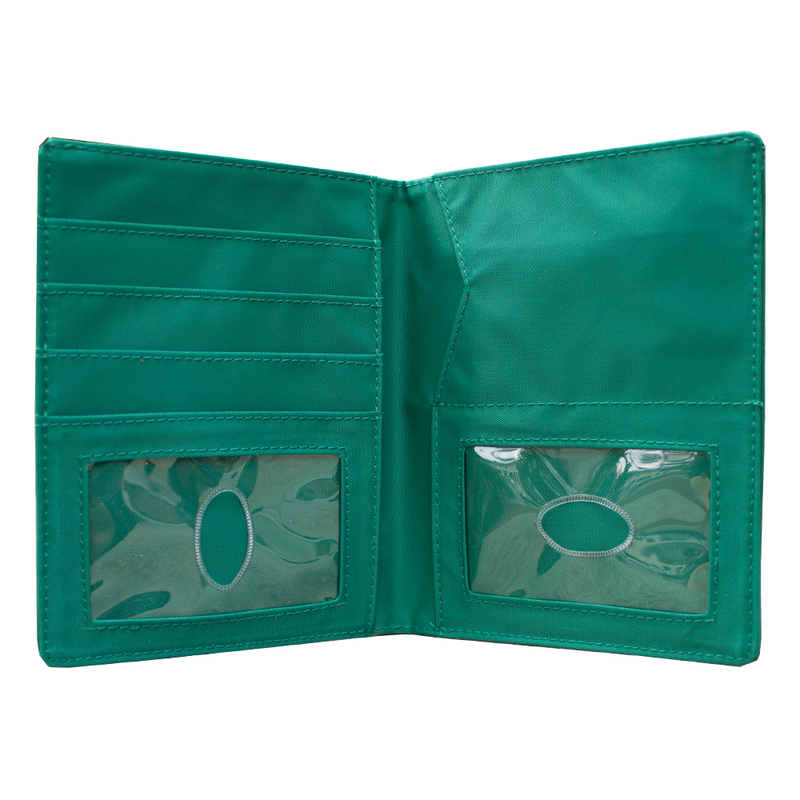 Finally, I have a wallet that will perfectly fit my passport! It definitely delivered on being thinner than my original wallet (even with the passport and about 20 cards inside it). Being a student, it's convenient to have two ID pockets: one for my school ID and the other for my state ID. The leather seems to be of pretty good quality, and I hope this wallet will last me a good two years at least. I found my first Big Skinny Leather Traveler in NYC and have put some good miles on it. 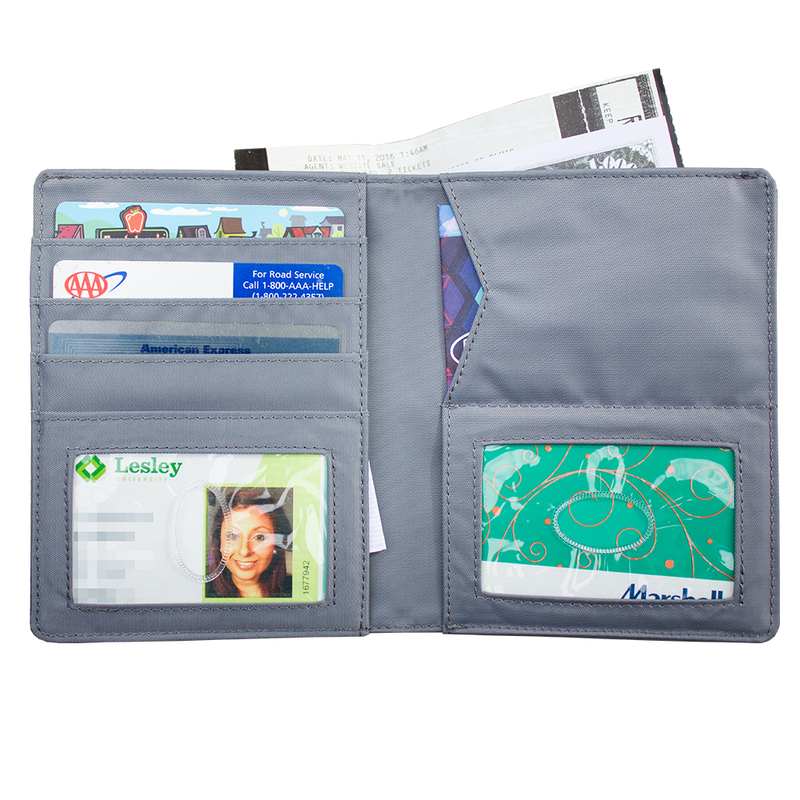 I love how my biz cards, CC, USA Drivers License, passport and cash fit without too much of a pocket bulge. I've purchased a second one as a backup as I'm pretty sure I'm not going to find anything I like better anytime soon. 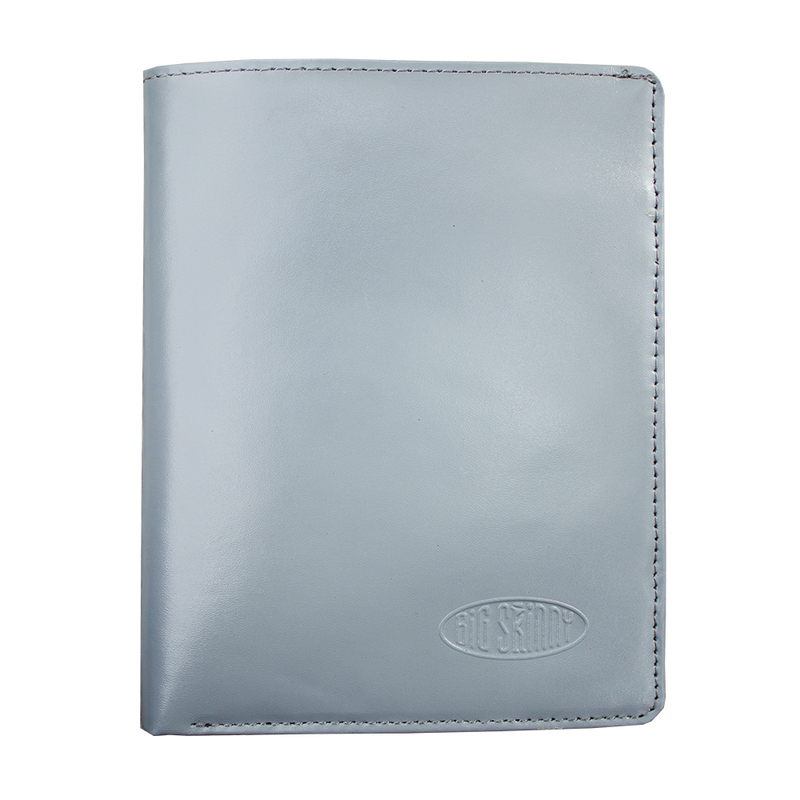 Please keep this particular wallet in stock as it's a winner!